Climate resilience pays dividends in financial stability and public health. California has passed legislation, AB 693, that will provide up to $1 billion for solar roofs for multifamily affordable housing. 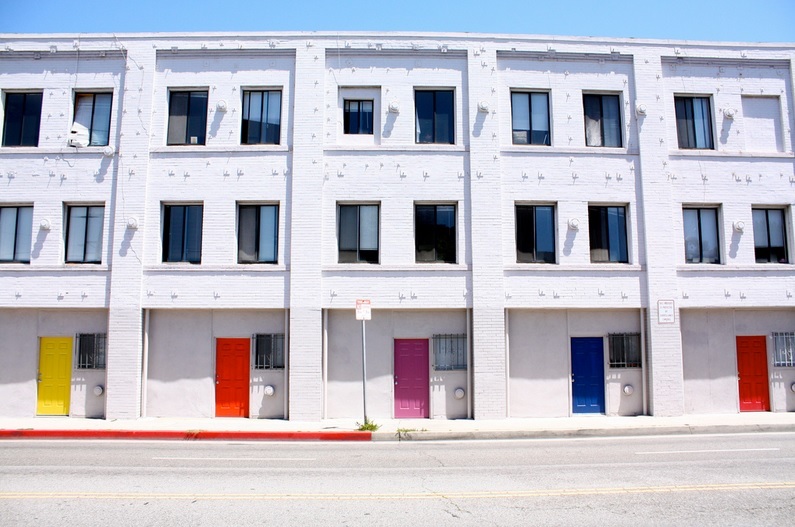 A May report by Clean Energy Group, “Closing the California Clean Energy Divide: Reducing Electric Bills in Affordable Multifamily Rental Housing with Solar+Storage,” found these retrofits can zero out some properties’ net electricity bills. This photo depicts multifamily housing in Santa Monica, California. It is not a luxury to build affordable public housing to high standards of construction, said Sachu Constantine, director of policy at the Center for Sustainable Energy. For example, the first public housing units built in the United States included kitchens, even though many other homes did not have them. Affordable housing was built to the latest standards of the time. Including clean energy would align affordable housing with the emerging standards for climate-resilient construction. “Resilient affordable housing helps residents shelter in place during storms,” said Seth Mullendore, project manager at Clean Energy Group. Installing solar and storage can help keep food and medications cool, maintain access to water, and make it possible to survive power outages. California’s program for solar roofs in multifamily affordable housing is the largest in the nation, according to the report. The $1 billion of funding the legislation provides will be spent over the next 10 years. Projections say this program can reach around 1/3 of the state’s affordable multifamily properties. The program is funded by cap-and-trade revenues. A previous bill, SB 350, increased the state’s renewable energy portfolio. “Energy efficiency programs within the state are being retooled to advance a number of initiatives, including the zero net energy building codes in the state,” Waite said. Although California has installed many projects combining solar and storage, according to the report, few have served this sector, which includes over 450,000 households. There are 9 million low-income people in California now, Waite said. Local hiring requirements are also part of the program, according to Waite. “A number of the eligible properties are in urban areas with limited roof space,” Waite said. This poses technical challenges for installers. Energy savings are one of the few items that can reduce an affordable apartment building’s operating budget, according to the report. In California, new utility tariffs are in place, Waite said. Time-of-use prices are being revised to focus on peaks that occur later in the day after solar power drops off. With the current set of tariffs, combining solar power and storage could nearly eliminate electric bills for some affordable apartments. Adding storage along with solar power can reduce payback times by over three years in some situations, multiplying the savings by a factor of nearly two. For the report, Geli, a company that produces energy software, analyzed projected utility bills from nine properties in three different utility territories. The utilities were the three major ones in California: Pacific Gas and Electric, San Diego Gas & Electric, and Southern California Edison. 70 percent of the state’s affordable rental housing is in these territories. Energy storage can alter demand charges for buildings, Mullendore said. Tenants can't take advantage of time-of-use rates and demand charges unless new legislation is passed to allow them to take advantage of these programs. These analyses reveal when a facility’s demand might spike as loads fluctuate. Heat waves also impact the results. Shifting the demand toward the evening resulted in one scenario showing that the electric bill dropped to a net value of zero for a 90-kW PV system with storage. In a second analysis, energy storage reduced the peak from 100 kW to 65 kW, saving $4,200 per year at a price of $10/kW. At a higher cost of $20/kW, the system saved $8,400 per year. “Adding energy storage really knocks out the rest of the bill,” Mullendore said. For a building that had a $21,200/year bill that was brought down to $9,500/year, the resulting electric bill was only $300/month. The calculations took California’s Self-Generation Incentive Program into account. It is currently being reworked, Mullendore said. This is a program he and the coauthors of the report recommend.